At an event held in New York City Acer has presented new notebooks, desktop computers and monitors that belong to the company’s award-winning Predator line. The new computers are strictly aimed at gamers and thus they come with the latest and greatest hardware there is. This is the reason why they are ready for virtual reality and include support for many VR devices that come from companies such as Oculus, HTC, OSVR and others. The new Acer gaming notebook is called Predator 17 X and comes with desktop-grade hardware, housed in a notebook chassis. The device is powered by an Intel Core i7-6820HK Skylake processor and includes a GeForce GTX 980 graphics card and a custom triple-fan cooling system. The processor inside can run at 4.0 GHz, while the GTX 980 GPU can operate at 1310 MHz and the graphics memory at 7.4 GHz (effective). This makes the Predator 17 X completely ready for virtual reality applications. The notebook also has a 17.3-inch G-SYNC panel that can work at 1920 x 1080 pixels or at 3840 x 2160 pixels, depending on the version chosen. The rest of the specs include DDR4-2133 memory and enterprise level NVMe solid-state drives that are placed in a three-SATA-SSD RAID 0 array for immense data transfer speeds. The notebook’s keyboard also features customizable RGB illumination so gamers can change and personalize lighting zone colors for specific game or profile setups. 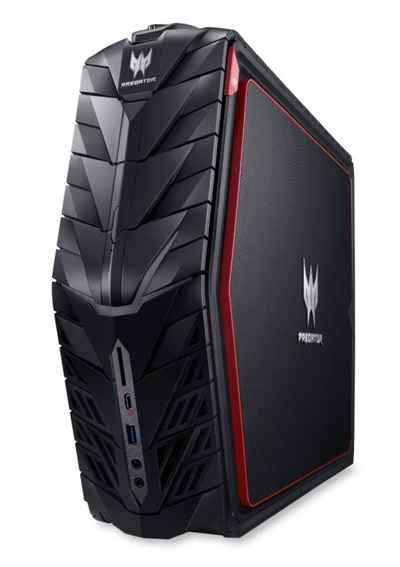 The new Predator G1 (G1-710) gaming desktop computer comes with a very small chassis with a volume of just 16 liters. This makes the Predator G1 a portable desktop computer that you can easily take to LAN parties and other similar events. Inside the desktop computer uses the latest and fastest 6th generation Intel Core Skylake processors, fast DDR4 memory (up to 64 GB) and speedy graphics cards that can go up to GeForce GTX Titan X. The machine is also equipped with Killer DoubleShot Pro networking hardware, which picks the fastest network connection (Ethernet or wireless) and sends all priority traffic over this connection, while standard traffic uses another connection. The Predator G1 has support for G-SYNC and 4K2K Ultra High Definition and provides massive storage (up to a 4 TB, 7200 rpm hard drive or a 512 GB SSD) as well. 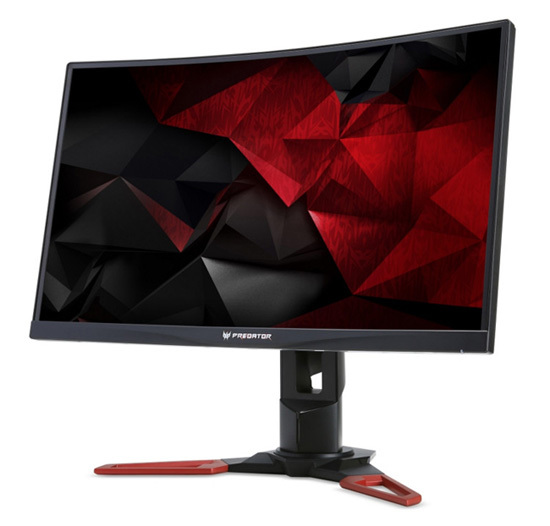 The Acer Predator Z1 is the latest gaming monitor to come out of the Taiwanese company. The device comes with a curved design with a tight 1800R curve and several sizes – 31.5 inches, 30 inches and 27 inches. The 30-inch model works at 2560 x 1080 pixels with a 21:9 aspect ratio and features 100 per cent sRGB color gamut with incredible detail. The Z1 also sports 178-degree viewing angles, a fast 4 ms GTG (gray-to-gray) response time and up to 200 Hz refresh rate. In addition to this the Acer Z1 includes 6-axis color adjustment and technologies such as AcerVisionCare and BlueLight Shield that lessen eye fatigue and GameView, which enables special settings such as dark boost that fine-tunes visuals for more details in darker scenes and more. The Predator G1 desktop computers will be available in Europe in June 2016 and in the USA in July of the same year. The computers will start at EUR 1199 and USD 2299, respectively. The Predator Z1 monitors will be in stores in North America and Europe in June 2016. They will start at USD 599 and EUR 599, respectively. 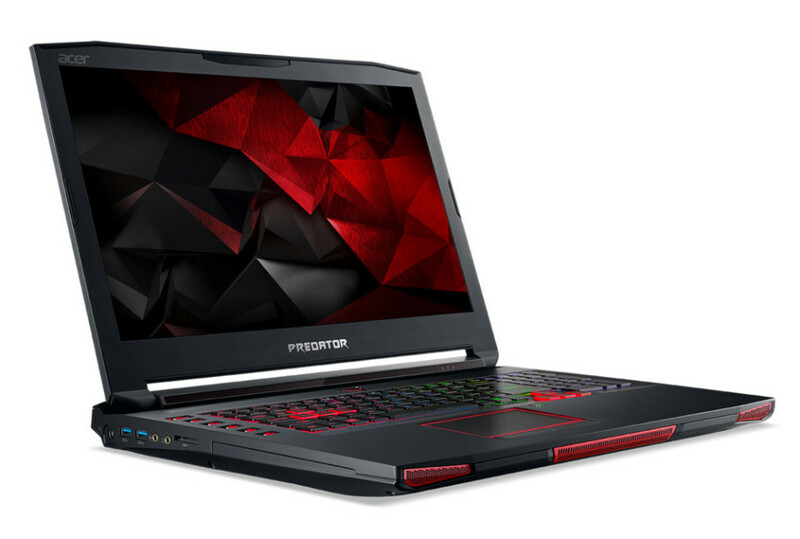 As to the Predator 17 X notebooks – they will be available in June in both North America and Europe and will sell for USD 2799 and EUR 2499 and up.